This page has all of the ESL conversation cards from the Excellent ESL 4U site collected together on one page. 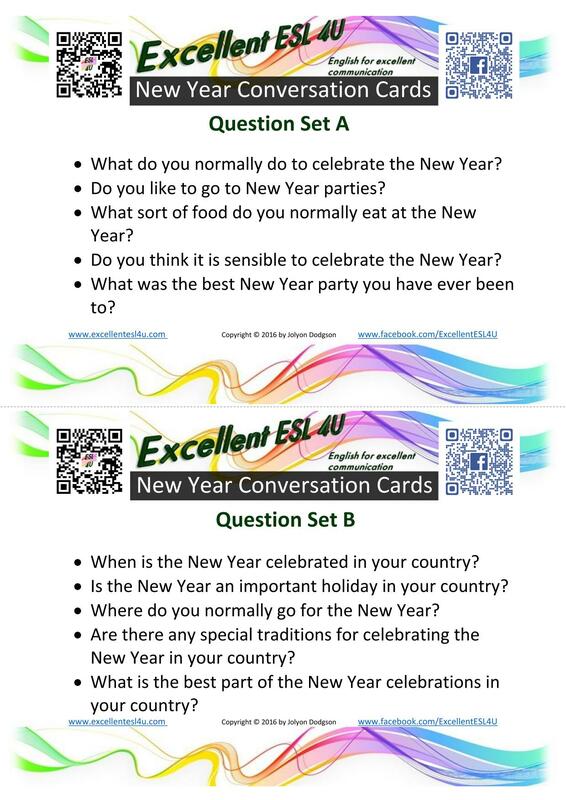 For each topic there are two conversation cards for you to download. When you are learning to speak and having a conversation in English it is often difficult to think of something to talk about. You try hard to think of something to say, but are not sure what to talk about. This page will help you with that as you can use the conversation cards from this page. I am adding new material to this site all the time, and the newest set of conversation topics for you to use as a speaking activity is below. Then the rest of the conversation cards for you to download are at the end of the page. Each set of conversation cards has two lots of five questions each. These all come from the ESL conversation part of this site, so if you want more conversation tasks or example conversations to look at you should also look at that part of my site. In addition to these conversation cards that have already been published on my site, I also have an ‘80 ESL Conversation Cards’ ebook (coming soon) that you can download. This book has four sets of questions each for twenty different topics. Half of these are the conversation questions that are part of this page while the other half are new and will only be published as part of the book. Then one of you asks the first question from your conversation card and the other answers the question by saying as much as they can, so they can practice speaking as much as possible. Then when the person has finished answering, they then ask their first question, and the first person answers it. Carry on like this, alternating asking questions, until you have asked all of the questions. At this time you could either stop or swap question sets and start again. Remember to say as much as you can and also ask extra questions. If you can think of a question you want answering, just ask it. You are trying to practice speaking, so the more to talk the better. 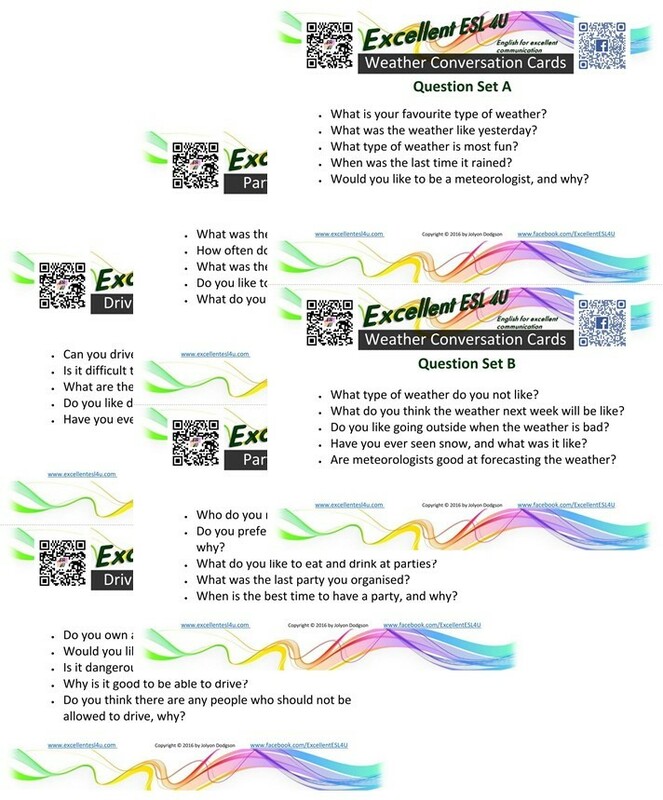 If you liked these question and they were helpful, remember I also have my ‘80 ESL Conversation Cards’ ebook (coming soon) that has extra questions sets for you to use.